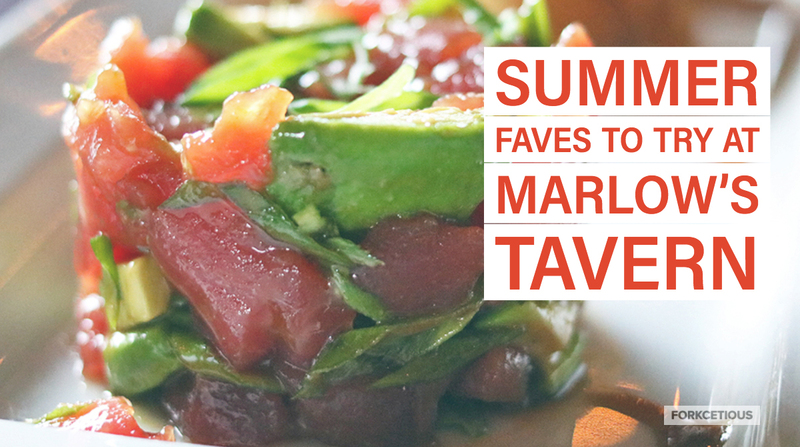 In the midst of a lot of travel, Ed and I went to Marlow’s Tavern in Brookhaven. This was actually our first time going to Marlow’s together, which surprised me because it’s one of my fave local restaurant chains and Ed and I have been dating for sometime now. It was great to take a few hours out of a very busy May to try some of their apps, shareables, and summer cocktails. I’ve been a fan of the poke craze since it hit Atlanta. 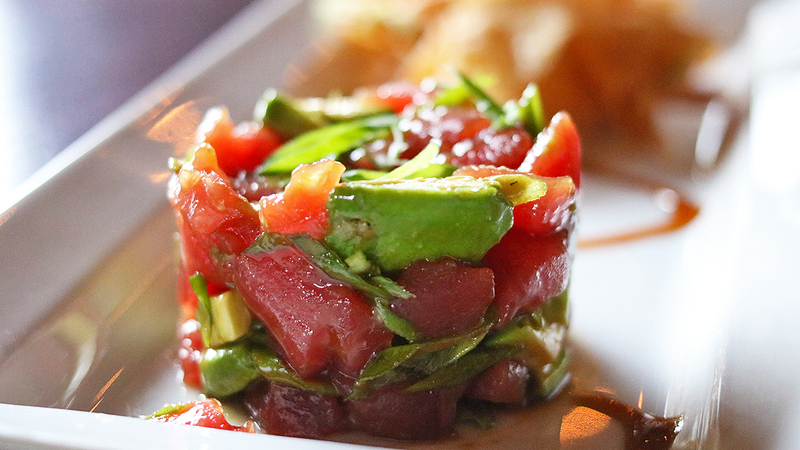 This poke appetizer is so tasty and flavorful that I honestly wouldn’t want to share it with anyone.  Get your own app! 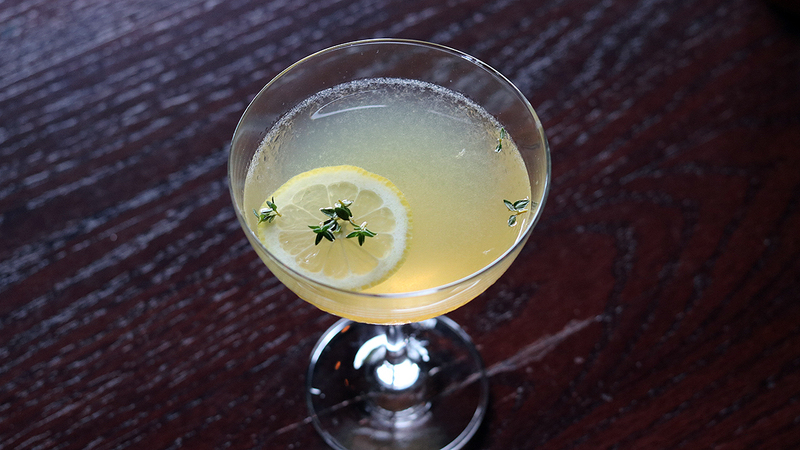 A true Marlow’s Tavern classic. 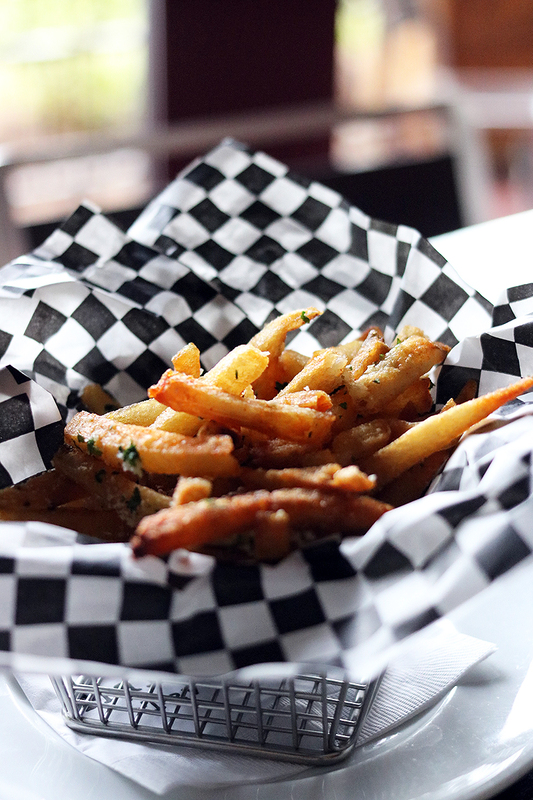 I’ve already professed my love for these fries. Ain’t nothing changed. Firecracker shrimp. A great appetizer! 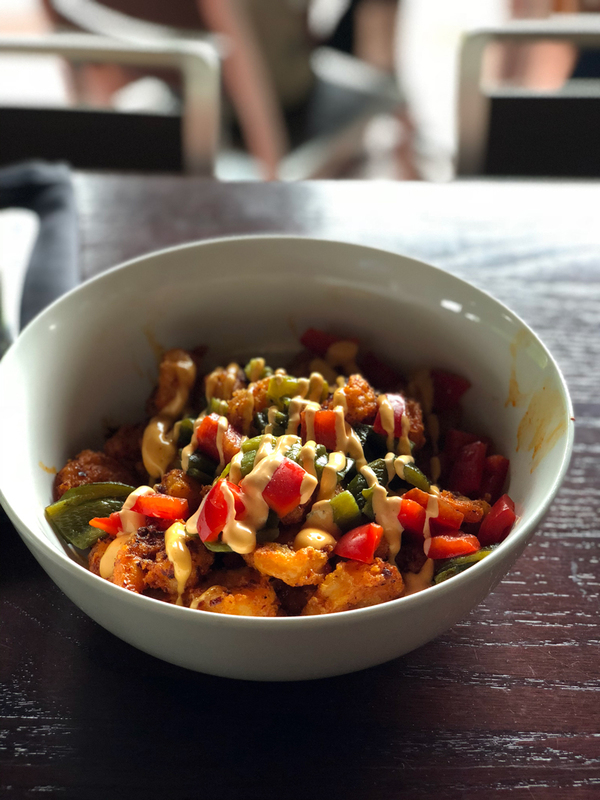 I was truly impressed by this appetizer as I’ve found that most restaurants are trying to chase any semblance of Bonefish’s Bang Bang Shrimp. The only similarity, in my opinion, is the fact that this is a spicy-ish shrimp appetizer. The heat from the Firecracker Shrimp is smokier opposed to sweet. I’m sure most parents and uncle/auntie-types would enjoy this, but preface this with it is NOT Bang Bang by any means. 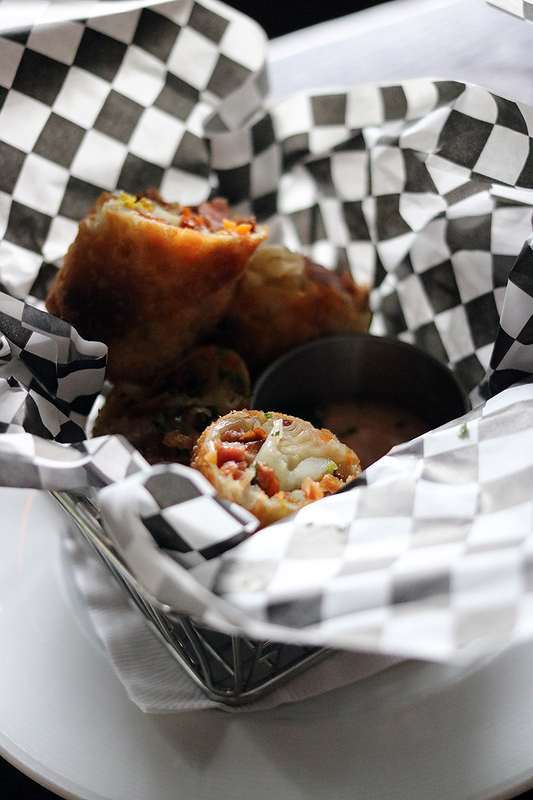 An American twist on egg rolls. Confession: I’d actually never tried pastrami before. And honestly, if I saw this on the menu, I probably would’ve avoided it. But I’m glad I didn’t — this was good. Outside of the pastrami, I was used to the rest of the ingredients: Nappa Cabbage, Sauteed Onions, Carrot, Smoked Thousand Island Sauce in Crispy Egg Roll. I’m a fan of most egg rolls anyway, so this wasn’t too far off. These Asparagus Fries are my new fave. 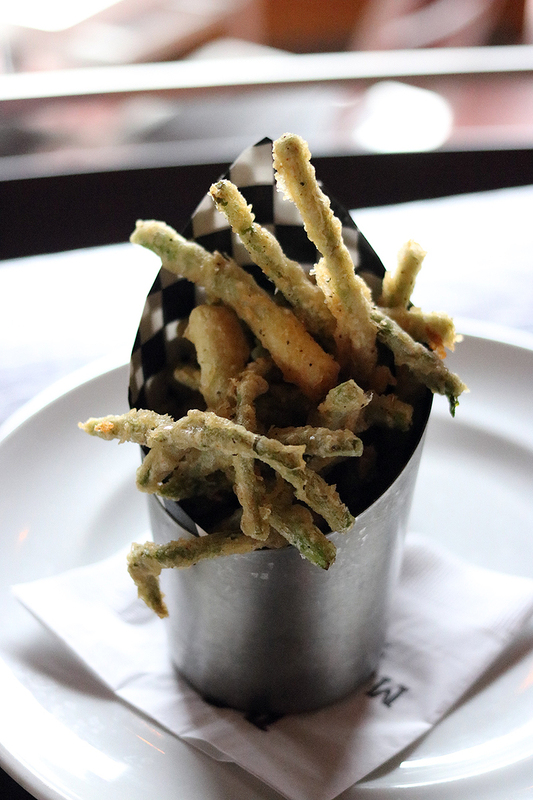 So, I feel as if my love for the truffle fries *might* get replaced by my newfound affinity for these asparagus fries. As I’ve been embracing more of a flexitarian lifestyle, I’ve been trying to eat more vegetables. I’ve noticed this option on the Marlow’s menu for sometime now but finally decided to try it. And I’ll say that within the week of me trying this, I’ve ordered the fries alone a few times. And I definitely ate said fries before making it to my destination. The tempura-esque coating and lightly seasoned asparagus is glorious. Thyme 4 Another. Tea lovers will appreciate this. This cocktail warmed my heart. It wasn’t packing heat nor was it a fruity number, but it was essentially a grown tea. Not like those prepackaged boozy Arnold Palmers or anything. This tastes like a tea you’d drink when you woke up with a sore throat but poured a little somethin’ somethin’ in it. Hot Toddy-adjacent, if you must. This would pair well with a slightly breezy day. 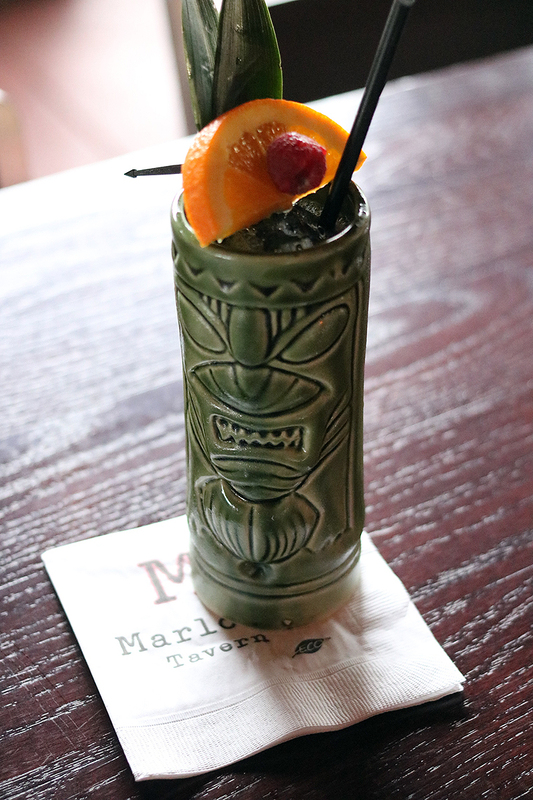 That’s Not Mai Tai takes a spin on the traditional Mai Tai. My spirit of choice is rum so this would be my summer go-to. Instead of the Orange curaçao, Marlow’s opts for a raspberry syrup. Also, this recipe calls for this amazing Panamanian rum which is distilled in an area where the canes have the highest sugar content. So this rum is sweeter than your average. Fruity cocktail lovers would enjoy this. The Cucumber Rita. Good stuff for those that like lighter drinks, like a mojito. This is not your average margarita by ANY MEANS. One, this isn’t made with a mix so scrap that notion. Two, the Cucumber Rita is way more subtle. Most margaritas are just really salty and sweet cocktails. 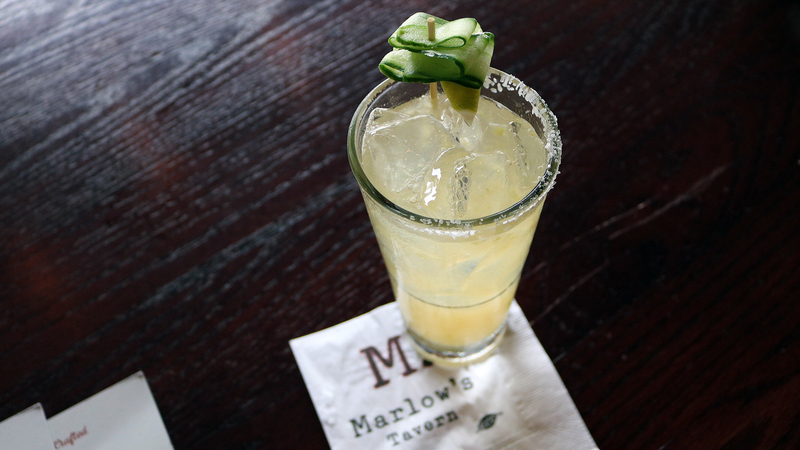 This margarita allowed the mint of the cucumber to take precedence. It’s a great drink to enjoy throughout the summer, but would be particularly refreshing on those dastardly hot days. Disclosure: Our apps and drinks were compensated in exchange for writing this blog post. All opinions and commentary are mine alone.